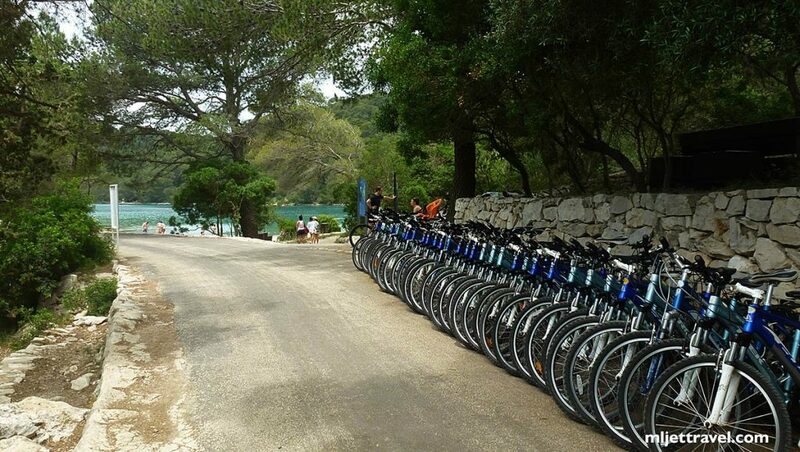 You will find several bikes, kayak and canoe rental places in the National Park on Mljet. As soon as you arrive in Pomena, while walking on your way to the entrance to the National Park, you will see the Rent a bike right next to the entry ticket office. 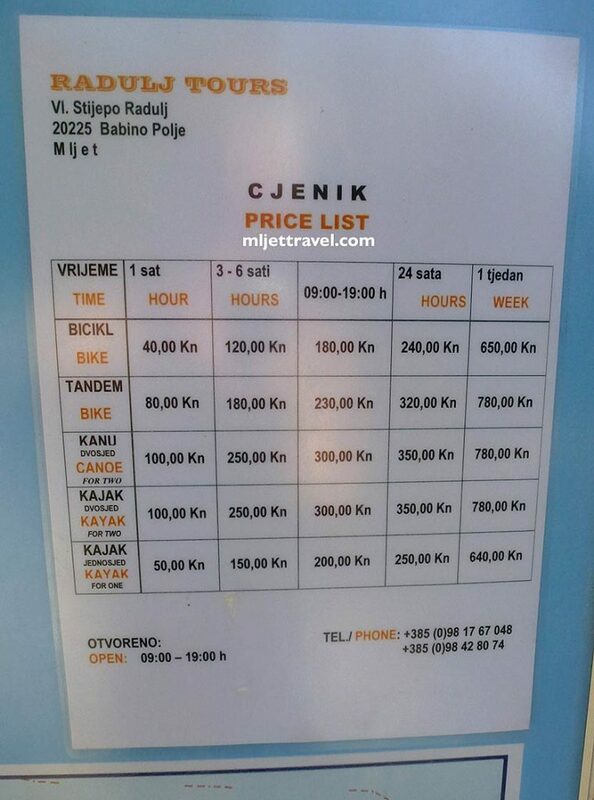 Some people rent their bike here, at the very beginning while others do it inside the Part itself. Another place to rent a bicycle, kayak or canoe is inside the Park near Mali Most. This is probably the better option if you intend to cycle or kayak just around the lakes. 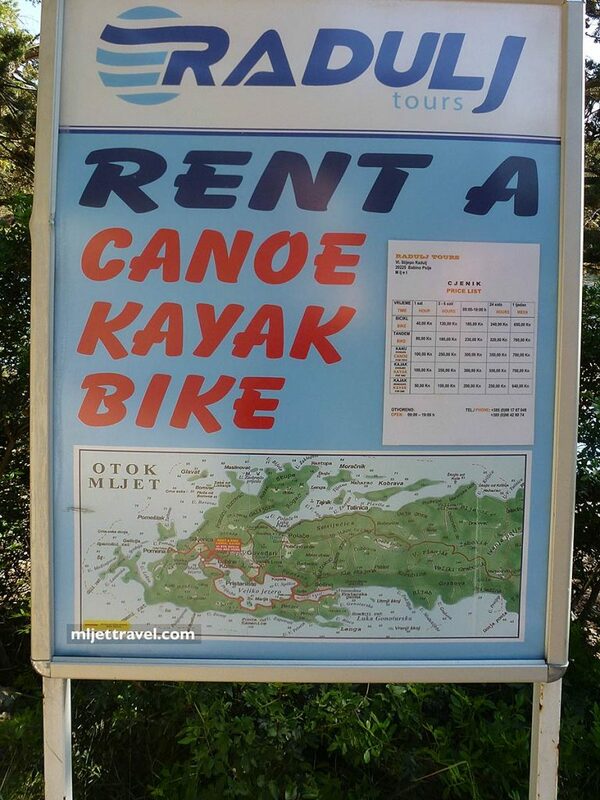 The rental place is called Radulj Tours Rentals, and they hire mountain bikes, kayaks and some canoes. They are opened from 9 am to 7 pm but if you need your equipment earlier in the day they will arrange it for you if you ask in advance. I rented equipment from them on several occasions and can recommend them without any hesitation. 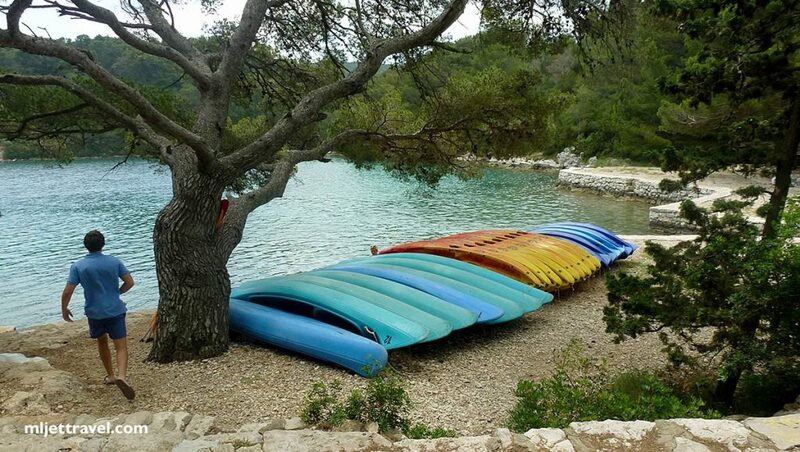 Renting a kayak is a fantastic way to explore the Lakes and to visit Sveta Marija islet and its cafe/restaurant. 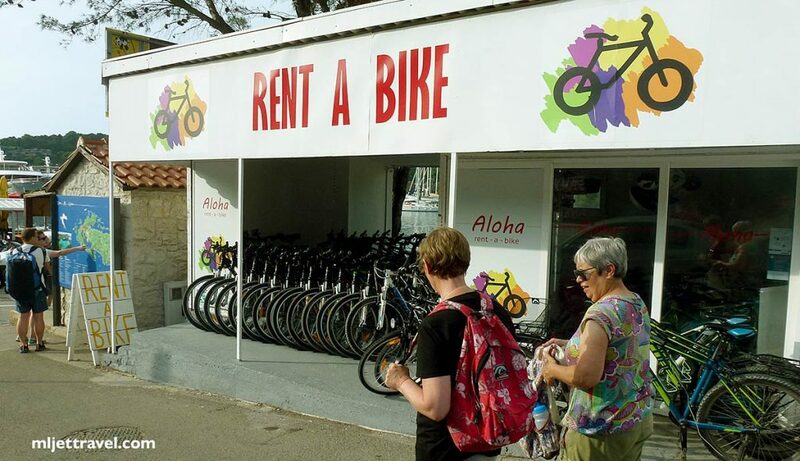 Beside just ordinary mountain bikes, this friendly rental place also offers tandem bikes which can be great fun to ride around the lake. Children’s, toddler’s and baby seats are also available.